The Brown University Petra Terraces Archaeological Project (BUPTAP) is working to refine scholarly understanding of the history and dynamics of Petra’s agricultural landscapes. 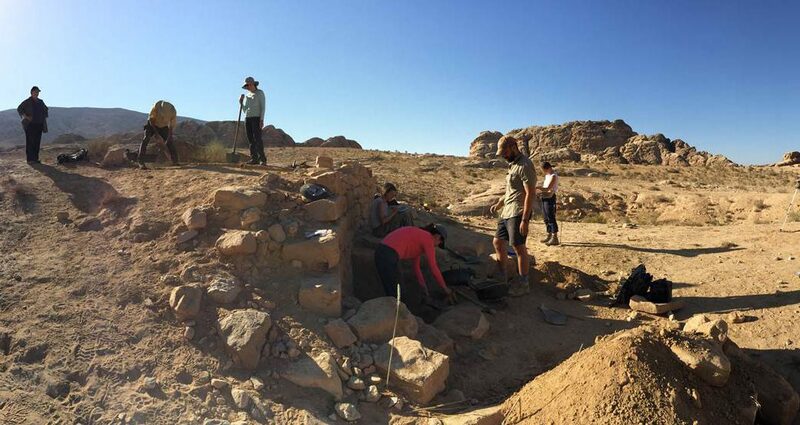 Between August 5 and August 22, 2018, Dr. Felipe Rojas of Brown University led an interdisciplinary team of scholars as they conducted archaeological survey, produced detailed graphic documentation, and carried out test trenching in Petra’s agricultural terrace systems. Work concentrated on the agricultural hinterlands immediately north of Petra and, more specifically, on the Wadi Baqa’ east of the road between Umm Seyhoun and Bayda and west of the rock of Shammasa. Rojas selected the Wadi Baqa’ as the focus of the project’s 2018 investigations because the systems of terraces and dams in this wadi are dense and relatively well preserved, and because previous survey in the region by the Brown University Petra Archaeological Project (BUPAP) provided a solid foundation on which to base the team’s studies. The main objectives for 2018 were to develop methodologies to 1) document in detail the agricultural terrace systems in the hinterlands of Petra and 2) conduct archaeological studies that combine architectural investigation of the retaining structures with geo-archaeological and archaeo-botanical analyses of the retained soils.